This campaign was developed as part of a Strategic Marketing Plan created by Reem Hammoud for FDA. Ms. Hammoud created this campaign and won an Effie Award for her work. As key personnel, Ms. Hammoud brings this same level of expertise to The Childress Agency, Inc. 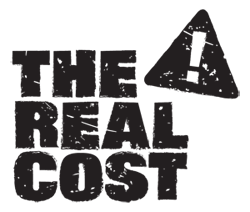 Evaluation of “The Real Cost” assesses the campaign’s impact on changing attitudes, beliefs and behaviors among youth who are open to smoking or already experimenting with cigarettes, and the results are impressive. Research indicated that almost 9 in 10 youth reported seeing “The Real Cost” advertisements after 7 months from the launch of the campaign, and the campaign positively influenced tobacco-related rick perceptions and beliefs specific to tobacco after 15 months. Most notably, the campaign has prevented nearly 350,000 youth aged 11 to 18 nationwide from smoking. Overall, high levels of exposure to campaign messaging was associated with a 30 percent decrease in the risk of smoking initiation among youth aged 11 to 18. 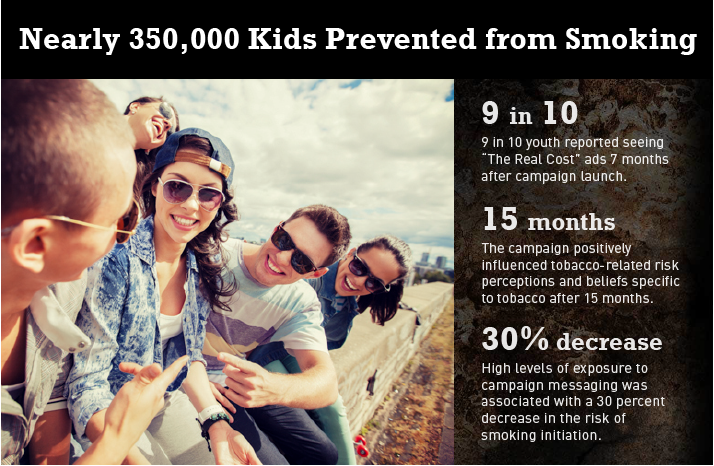 These results demonstrate the effectiveness of a national campaign that focused on the harmful effects of smoking and delivered salient messages that resonated with youth. As the first federally funded U.S. youth tobacco education campaign, these results show that sustained tobacco education campaigns can encourage U.S. youth to rethink their relationship with tobacco.